Posted June 22, 2018 by admin & filed under Uncategorized. 1. Check your Transmission every 1,000 miles if you drive an automatic or 3,000 miles for manuals. Find your transmission fluid dipstick using your owner’s manual. Remove the dipstick, wipe it clean with a rag or towel, then reinsert and remove it again. You’re checking for correct levels, color and smell. Levels will be indicated by marking on the dipstick. Low fluid levels can indicate seal leakage or even malfunctions in your transmission. If you drive an automatic, your transmission fluid should be bright red; if you drive a manual, the fluid should be the color of clean new oil. Either fluid should have a clean petroleum scent. 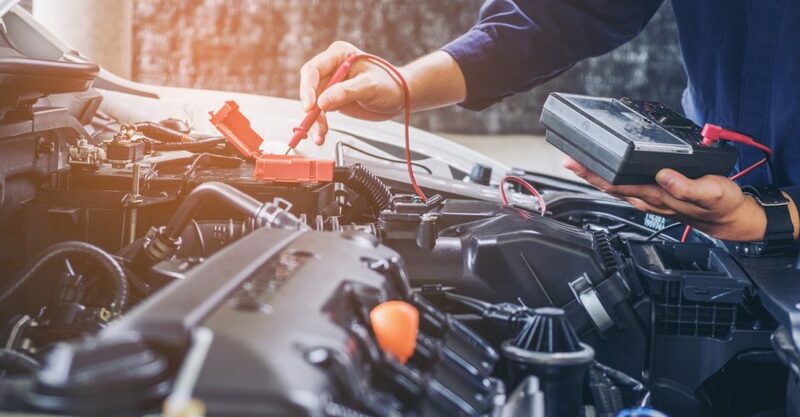 If you fluid is dark or has a burnt smell or you would prefer to leave the checking of all this to the professionals, set up an appointment with us to have your transmission fluid changed. 2. Always preform maintenance according to your vehicle owner’s manual. When in doubt, check the manual or get in touch with our shop to help you create and maintain a preventative maintenance schedule. Most transmissions need their fluid changed after driving between 60,000 and 100,000 miles. Be on the wrong side of that and you could find yourself regretting it. 3. Be aware of how your vehicle drives. Changes, strange noises, and inconsistency during shifting are warning signs that trouble may be afoot. If your vehicle begins slipping or seems to shift early or late, you should contact a professional for diagnostics. The small investment of early detection will save you time, money, and stress. 4. Know your vehicles needs and limitations. Never drive for extended periods of time on spare or mismatched tires. The tire information listed in your owner’s manual is not only designed to be the most efficient for gas mileage, but also works in kind with your transmission. Know your vehicle’s weight limit. Overloading your vehicle causes excessive strain on the transmission. 5. Maintain a properly-tuned engine. Your vehicle’s systems work symbiotically. What affects one system can — and if left unattended long enough will — affect other systems. Many vehicles utilize the engine’s vacuum as the source for the hydraulic pressure that controls transmission shift quality. A quiet, smoothly shifting vehicle is a good vehicle. If your vehicle acts abnormally, early detection and repair make the most sense financially and for safety. Proper maintenance leads to minimal operating costs and a long, safe life for your vehicle. Call us at 620-654-3445 if you have any further questions!